Abuja court sentences two civil servants to 105 years in jail over N1bn scam – Royal Times of Nigeria. An FCT High Court sitting in Jabi on Monday sentenced two civil servants, Mohammed Audu and Yusuf Ayodeji, to 105 years imprisonment, for fraudulent activities. 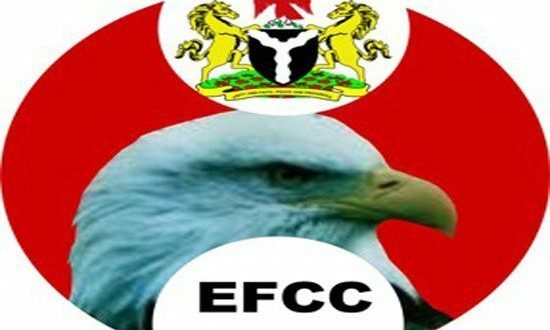 The convicts, who were Procurement Officers in the Office of the Accountant General of the Federation, were arraigned by the Economic and Financial Crimes Commission, EFCC, in July 2016. Mr. Audu was docked on a 10-count charge while Ayodeji faced a five-count charge, both bordering on conspiracy, abuse of office and awarding contracts to companies in which they had interests, among others. The convicts were brought pursuant to Section 26 of the Independent Corrupt Practices and Other Related Offences Commission (ICPC) Act 2000, punishable under Section 12 of the same Act. They were in charge of a World Bank project known as Government Integrated Financial Management Information System (GIFMIS), an economic reform governance project. The judge, Yusuf Halilu, in his judgment, sentenced Mr. Audu to seven years imprisonment on each of the 10-count charge, amounting to 70 years. Mr. Halilu also sentenced Mr. Ayodeji to seven years each on each of the five-count charge, amounting to 35 years imprisonment. According to him, the convicts took advantage of their positions as procurement officers to perpetrate the criminal acts at the World Bank project.